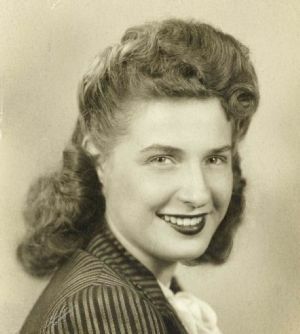 It is with a sad heart that we announce the passing of Shirley Mae Sondalle, age 91, of Ripon, WI, on Friday, March 22, 2019 at Juliette Manor in Berlin, WI. Shirley was born on May 11, 1927 in Milwaukee, WI, daughter of Royal Cain and Emma (Wallschlaeger) Cain. She graduated from Green Lake High School and married Gerald Sondalle, the love of her life, on June 7, 1947. Jerry and Shirley had two children, Patricia and Robert. In her younger years, Shirley worked as a telephone operator in Milwaukee, but she is most remembered as the charismatic bartender at Moxies, Scharenberg’s White Lake Resort and other surrounding bars. She loved nature, the Green Bay Packers, puzzles and spending time with her family. She was known for her infectious laugh, loving hugs and warm smile that always brightened the room wherever she went. She had an amazing personality that positively affected many people’s lives. She was strong-willed, driven and made everyone she came in contact with feel welcomed and loved. She will be greatly missed and fondly remembered by all that knew her. Shirley is survived by her children, Patricia (John) St. Louis and Robert (Shelby) Sondalle; sisters, Fern (Don) Hallmann, Nancy Switalski, and Renee Silloway; a sister-in-law, Dary Cain; grandchildren, Melissa (Scott) Prosen, Heather (Sergio) Pedreguera, Jessica (Jim) Haasser, and Melissa (Paul) DiCicco; great-grandchildren, Tyler and Dylan Prosen, Noah Pedreguera, Michael and Ally Haasser, and Sophia DiCicco; and numerous nieces and nephews. She is preceded in death by her husband, Gerald Sondalle; her parents, Royal and Emma Cain; brothers, Dennis “Pete” Cain, and Marlo Cain; and brother-in-laws, Lloyd Switalski, and Jim Silloway. 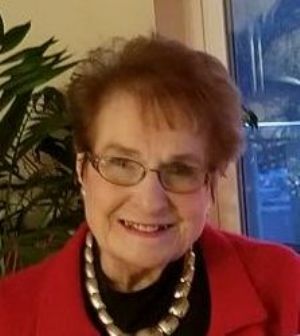 A visitation for Shirley will be held on Sunday, April 7, 2019 from 10:30 am to 12:30 pm at Butzin-Marchant Funeral Home, 515 Mayparty Dr., Ripon, WI 54971. A memorial service for Shirley will be held on Sunday, April 7, 2019 at 12:30 pm at Butzin-Marchant Funeral Home, with Pastor Don Deike officiating. A private inurnment will take place at a later date at St. John the Baptist Cemetery, Princeton, WI. A memorial is being established in her name.